Bio-degradable hemp Shower gel is made from only the finest natural ingredients. Use this Bio-degradable conditioning gel on your body and hair. 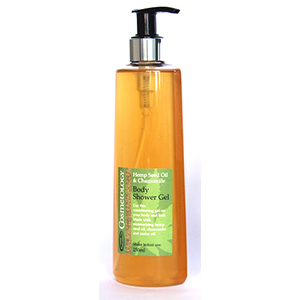 Made with moisturising hemp seed oil it leaves you feeling clean and refreshed and your skin, wonderfully soft. Ingredients: Palm oil, coconut oil, hemp seed oil, potash, soapwort, water, sandalwood oil.